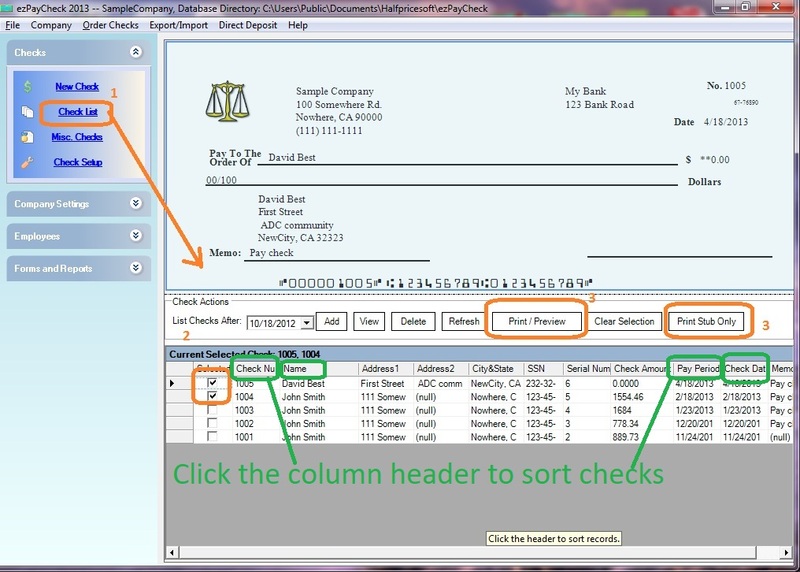 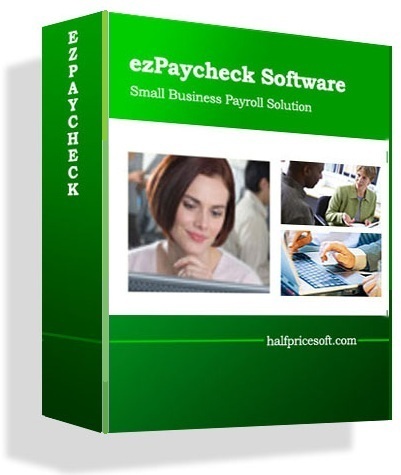 You can click the ezPaycheck left menu "Checks" then "Check Setup" to access Check Setup screen. 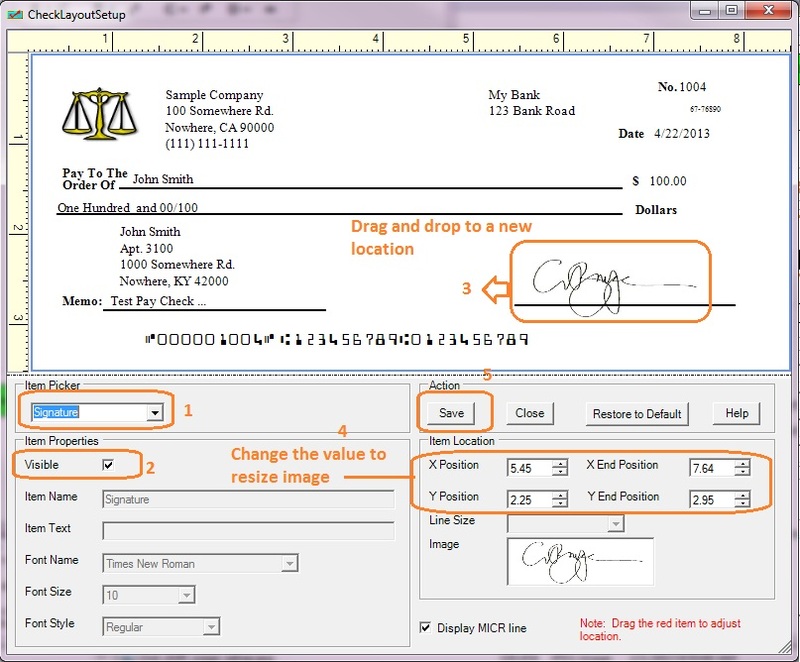 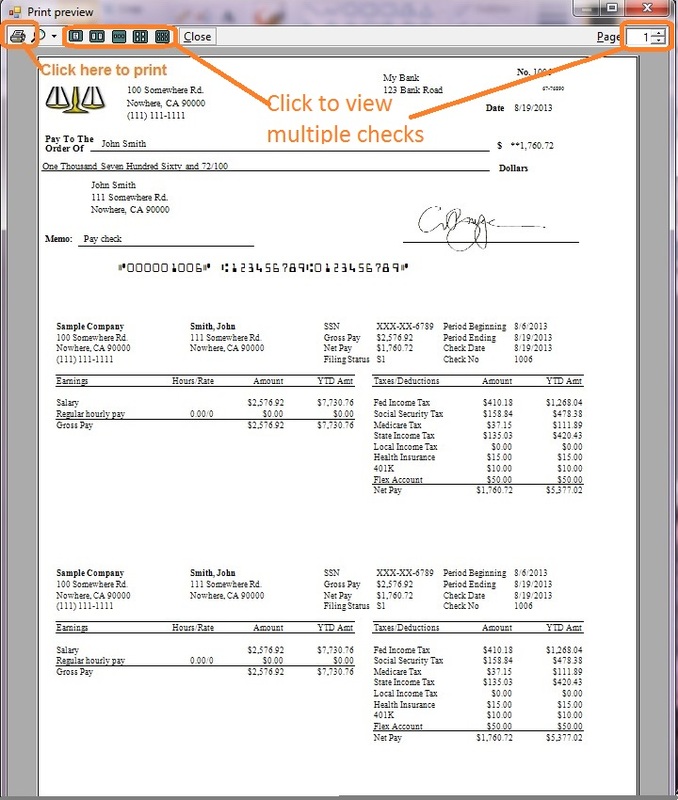 Please make sure you checked the option to use blank check stock. 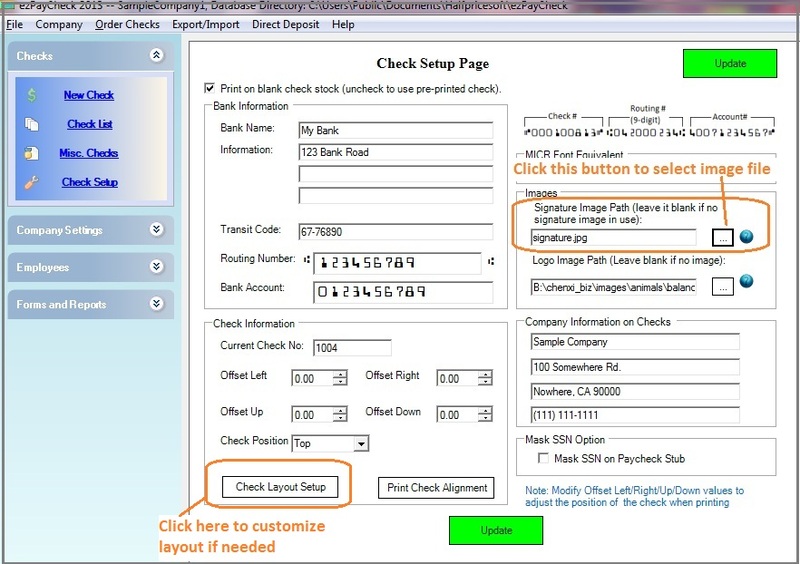 You can print the button behind logo image path to select an image from your local machine.